Welcome to the Oregon Goldadors Website! We are a family dedicated to raising healthy, loving, family oriented dogs. We are located in the beautiful, lush Willamette Valley. 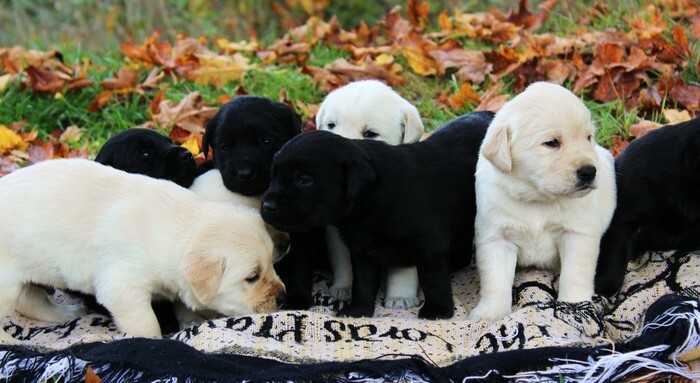 Our Goldadors are a cross between two outstanding breeds, AKC English Cream Golden Retriever and AKC Labrador Retriever. This cross creates an amazing dog that is less prone to some of the health issues that their parent dogs can have, such as hip dysplasia and cancer. Goldadors enjoy working closely and willingly with people. 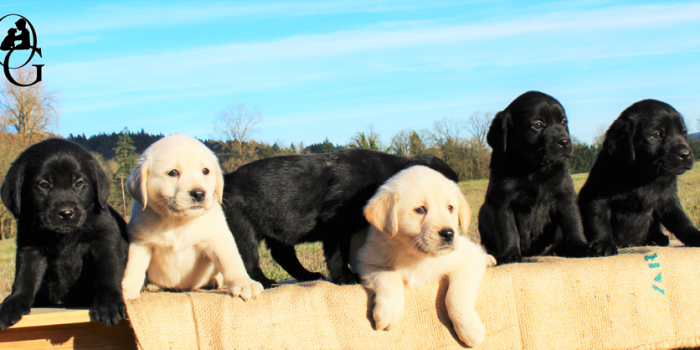 Their origin arose from a desire to create a working dog with the sensitivity of an English Golden Retriever and the high physical tolerance of a Labrador Retriever “The Best of Both Worlds”. This cross produces beautiful dogs with an easygoing and eager-to-please nature, they have a keen intelligence and are easy to train. Our families have enjoyed hiking, kayaking, camping and playing in the snow with our dogs. They are highly sought after for guide, service, therapy and search & rescue dogs. They are also superb hunting companions, and love retrieving and swimming. Similar to their parents, Goldadors are happiest just being alongside the people they love. They are an excellent choice for first-time dog owners and families with children. They enjoy being part of a family and thrive when incorporated into a family routine – returning great love and devotion. Copyright © 2019 Oregon Goldadors All Rights Reserved.